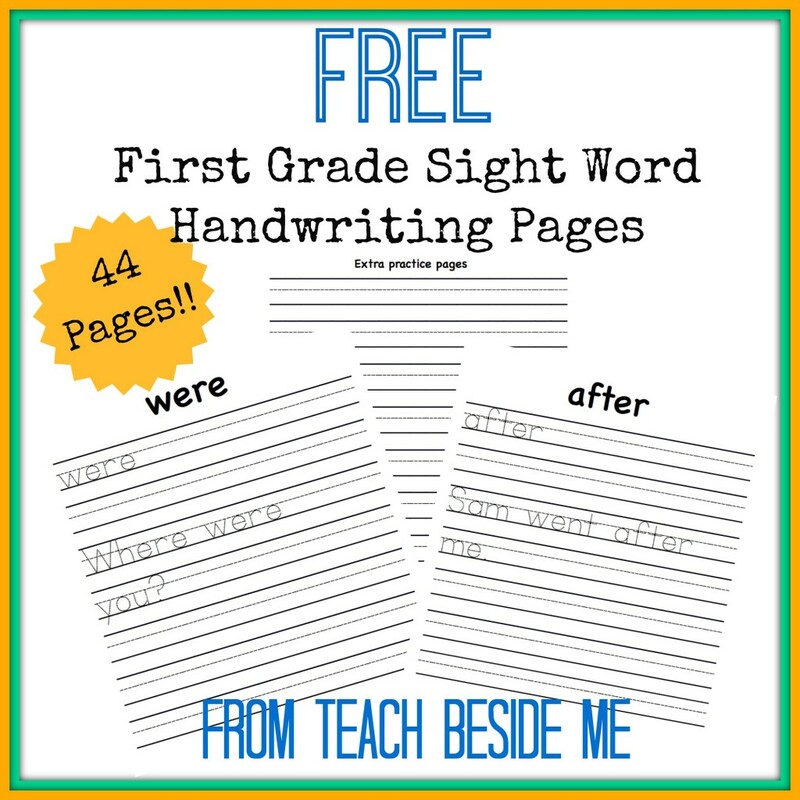 Sign up for emails from Teach Beside Me and download this free set of First Grade Sight Word Handwriting Pages. It’s a whopping 44 pages of handwriting practice! The list of sight words is from the Dolch First Grade list. Each page contains the sight word and a sentence to trace and to write independently.